The people of San Angelo, Texas are known for their hospitality. I found this shady back patio a welcoming place to paint after hot days in the sun on beautiful ranches. 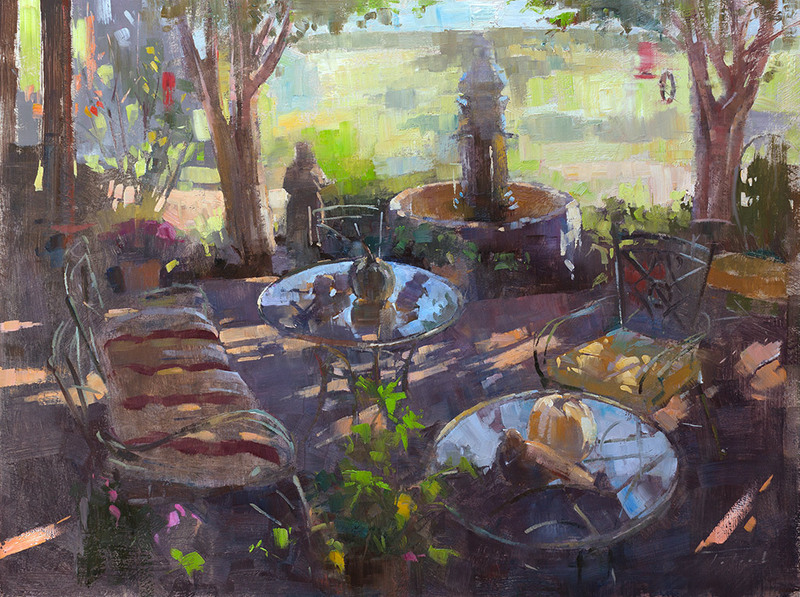 This painting won Third Place in the 2017 Plein Air Texas Festival, and is also featured in the 2018 June/July issue of Plein Air Magazine as part of a feature article on my journey as a plein air painter.